“Equality and Revolution in Cold War Iran,” explores the interplay between historical memory, social rights and the contested conceptions of governmentality and constitutionality in the four decades prior to the 1979 Revolution. Offering a corrective to the ideological and linear revolutionary narratives of Pahlavi Iran, this historical inquiry elucidates how a multi-confessional conception of Iran and its constitutionally sanctioned “equality rights” of citizens was reconceived at “a moment of danger” during WWII when Iran was invaded by the Allied forces and Reza Shah Pahlavi (r. 1925-1941) was forced to abdicate. 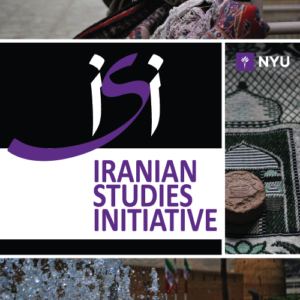 It explores how the endeavour for the promotion of legal equality of women and non-Muslim Iranians was opposed on religious and constitutional grounds by those who conceived of Iran as a “Shi‘i nation” (millat-i Shi‘ah). Exploring the concurrent and protracted efforts of lawyers and jurists (fuqaha) to promote two divergent modes of governing the everyday conduct of citizens — one based on “equality rights” and the other on Islamic jurisprudence – this lecture offers a historically situated account of the rights question in the decades prior to the 1979 Revolution.